Ashburton Grove - Arsenal news and Arsenal opinion: Who will Wenger drop from his Premier League squad to accommodate Henry? Who will Wenger drop from his Premier League squad to accommodate Henry? It's an uncustomary late post from me as I had other matters to attend to this morning. I think that all the news has been analyzed elsewhere, so I wanted to write about a matter which has been bugging me for some time. Since the Thierry Henry deal was first discussed, I've wondered how Arsene Wenger would accommodate the Frenchman in his Premier League squad. There are strict rules placed on clubs which force them to submit a 25-man list of players, who are over the age of 21, to the Premier League who they plan to use in league matches. Of this list of 25, only 17 can be classed as "non homegrown", meaning they weren't registered with an English or Welsh club for a period of three seasons or 36 months prior to their 21st birthday. 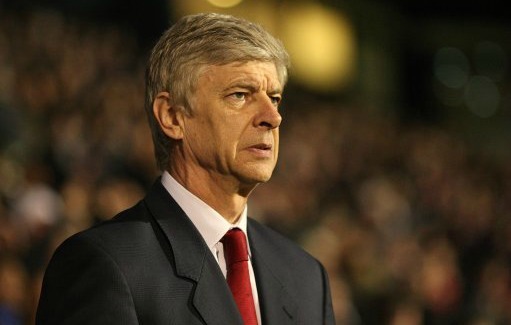 At the moment, The Gunners have a used their full quota of 17 players who haven't been produced in England or Wales. This means that Arsene Wenger has to free up a space in the squad to allow Henry to play league matches for us. The FA Cup does not have a permitted squad size, so Wenger is free to pick Arsenal's record goal scorer on Monday night without having to drop another of his professionals from the squad. Even though Henry is contracted to us for the next five league matches, with the option to extend that deal to a sixth match - Tottenham at the Grove on February 26 - Wenger will have to either sell, send someone out on loan or replace Henry in the squad with an injured player. I don't know if the squad can be changed on a match by match basis or whether Arsenal have to stick with the 25 man list players they submit to the league until the end of the season. Obviously there is room for maneuver in January when the transfer window opens and closes. I'm under the impression that Arsenal have to resubmit their Premier League squad once the window closes at the end of the month. KEY: p = played from the start; s = substitute appearance; u = unused substitute. Let's start from the back and see where room for Henry can be made. In the goal keeping department we are now down to three professionals with Vito Mannone's loan move to Hull taking place. Fabianski has yet to reemerge from his injury and Almunia is back on the bench. I don't think there is any room for maneuver in the goalkeeping department unless Wenger sells/loans/releases Almunia (contract up in June) or allows Fabianski to go on loan. In defence the obvious candidate for the scrap heap is Squillaci. He's only been involved in two Premier League squads this season, making an emergency appearance against Fulham last Monday following the sending off of Djourou. He could be moved on, considering we've got back up in Ignasi Miquel or we could even recall Karl Bartley from his loan move from Rangers. Neither would need to take up a space in the 17 "non homegrown" category as they are both under-21. The only midfield candidate for dropping is Abou Diaby considering his one substitute league appearance this term. The manager may think it's best to remove his name from the squad and send him on loan to get match fit prior to the summer when you would imagine Wenger will decide to give the leggy French midfielder one last season at the club to prove his fitness or sell him. There is no doubt that Diaby is a talent, he just struggles to keep himself fit for any length of time. He'll also want to play when he is fit so that he can fight for a place in the French squad for the European Championships. And in attack the one stand out candidate who has not even seen a minute of football in the league is Park. The manager may feel he needs to turn to the South Korea captain whilst Chamakh is away for the Africa Cup of Nations, but I think he has discounted Park because otherwise he wouldn't have asked Henry to return. So personally, the three players I think the manager could cut from his Premier League squad for Henry are Squillaci, Diaby and Park. What he will do remains to be seen but he is forced into making a decision prior to the trip to Swansea Sunday week.